Gamer1o1 is an agent but he hasn't been on in over a month! 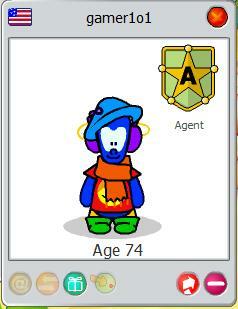 How did he be one i thought you had to be active on chobots to become an agent? How do you know? Maybe he came online but you were offline. He is on my blog he hasnt posted in over a month he hasn't changed clothes in over a month and you can ask anyone else on my blog they don't know where he is i tried emailing him and i didn't get a response! Maybe he was one of the hackers and they IP banned him. Gamer1o1 could just be having problems and don't want anything to do with Chobots.